We’re passionate about auto service expertise and have been raising the industry standards for years. Carworx Complete Car Care in Milford repair facility that focuses on taking care of its customers first. From the moment you call or enter our facility you become our number one priority. That includes you feeling welcome at our friendly service counter, comfortable waiting area, and roomy service bays. We’re a business that puts our exceptional customer service before our excellent auto service. The truth is, you could bring your vehicle to other shops, but you’ll never find a quality team of technicians like the ones at Carworx. We’ll give you and your vehicle the care and attention that you both deserve. Make us your first stop to make sure you get your diagnosis and repair right the first time. Our experts can be trusted for all second and third opinions. Save yourself some time and money by receiving the correct diagnosis instead of an unnecessary repair. We’ll have you back on the road in no time with a heavier wallet. Just sit back and relax, enjoy some free Wi-Fi, and we’ll be pulling your fully-serviced vehicle around front in no time. Vehicles are becoming more and more sophisticated every year. The problem for consumers is not in the quality of their driving experiences, but the quality of the technicians handling their vehicle’s services. Are they keeping up with the training necessary for the latest innovations? Are they using the most up-to-date equipment Carworx Complete Car Care is! Our team of ASE Certified technicians stay abreast of all the industry’s latest technologies. The Carworx team is also complete with Master Certified transmission experts. 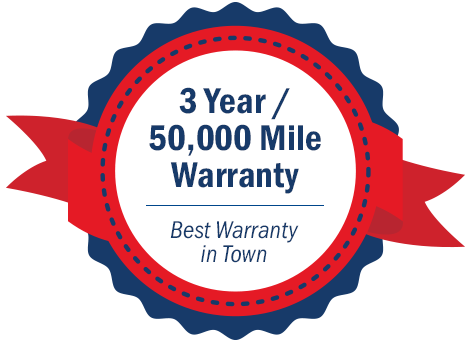 Your car will always be in the hands of highly qualified and experienced technicians. We specialize in the most difficult transmission repair services, as well as a complete menu of auto repair services. Carworx Complete Car Care wants to enhance your auto service experience by making it as convenient and as affordable as possible. We don’t want anything to prevent you from enjoying our top-notch services. Your vehicle will thank you for trusting its services to the experts. Stop by the next time you’re in the area! We love meeting new friends and treating our customers’ vehicles like they were our own. We have the the repair solutions that you need and it won’t cost you an arm and a leg. We’ve also made financing available upon credit approval for easy pay options. Get your vehicle towed to our repair facility for free with a major auto or transmission repair. You’ll drive away from our shop behind the wheel of a fully enhanced vehicle. Let’s start a dedicated auto service relationship today!